TRADITIONAL RANCH STYLE completely remodeled brick home that offers 3br 2ba 2cg sitting on .43ac in Whitewright. 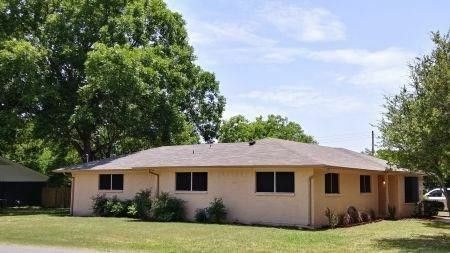 Open LR to DR, ranch style kitchen with unlimited cabinets space. All new SS appliances incl, stove, frige, dw and mw. Home is like new condition with new ac-hv system, sheetrock, fixtures, can lights, electrical, complete baths incl custom tile shower in mstr and on kitchen backsplash. New solar screens gutters and roof. Foundation repaired with transferable warranty. Finished out oversized garage with room for workbench. Home has new paint inside and out. Large corner lot offers space to play incl a very large beautiful pecan tree in the backyard that is at least 100 years old. Call this home in 30 days! Directions: Hwy 69 in Whitewright towards downtown on Grand St (aka FM 151) Turn left on Blanton. Property located at the end of the street on the right.